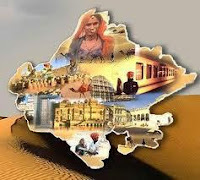 Rajasthan GK Question in Hindi Sample Paper 184: Rajasthan General Knowledge Sample Question Paper with Collection 10 Question of Rajasthan GK Questions for RAS, Rajasthan Police, REET, SI, Contable, Patwari and other state exams under GK Quiz in PDF @ Rajasthan GK Sample Papers. Rajasthan General Knowledge (GK) and General Studies (GS) Questions from various examinations of Rajasthan Govt. and central Govt Examinations. Q.3461. गैर कोयला खनिजों के खनन पत्रों की ई-नीलामी शुरू करने वाला पहला राज्य कौनसा है ? Q.3462. भारत के नम्बर 2015 में प्रक्षेपित जीसैट -15 उपग्रह का उपयोग किससे सम्बंधित है ? Q.3463. आंग सान सू की पार्टी नेशनल लीग फार डेमोक्रेसी ने किस देश में दो-तिहाई बहुमत जीता है ?